Your skin has the necessary time during the night to absorb the active ingredients of the creams. free of animal tests, valuable night cream with the addition of special 6-herb extracts. Luxurious night cream supplemented by a special 6 herbs extract and valuable natural oils such as avocado oil and wheat-germ oil. After cleansing, apply the product to your skin and use your fingertips until your skin has completely absorbed. As well as for the care of neck and décolleté. 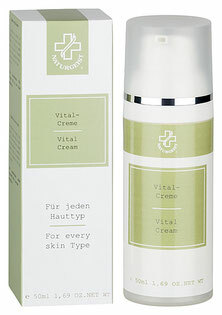 free of animal tests, night cream with precious oils such as avocado and almond oil. High quality night cream that cares your skin with valuable oils such as avocado oil, almond oil and ingredients such as ginseng extract, royal jelly and vitamins E and A. Special moisturizing complexes keep your skin velvety soft and supple. Optimum skin friendly compatibility thanks to no use of chemical preservatives, mineral oils or PEG’s. Also suitable for the care of neck and décolletage, can also be used as a facial massage cream. After cleansing, use the product on your skin and use your fingertips to apply until your skin has completely absorbed the cream. Also suitable for the care of neck and décolleté. Can also be used as facial massage cream. Free of animal tests, night Cream nourishes your skin gently. A complex made of ginseng, propolis and royal jelly combined with wheatgerm oil, avocado oil and almond oil provides gentle skin care. After cleansing, use the product on your skin and use your fingertips to apply until your skin has completely absorbed the cream. Also suitable for the care of neck and décolleté. Free of animal tests, night cream that gives your skin a velvety complexion. The addition of natural oils, like avocado-, lecithin-, wheat germ-, almond oil and a special 6-herbs-extract lends your skin a velvet texture. A natural moisture factor additional prevents from drying out of the skin. Also can be used for the care of neck and decolleté. Free of animal tests, night care with a special moisture factor. A skin-specific vitamin complex with vitamins A and E, a propolis extract and a special moisturizing factor make this cream so valuable. Free of animal tests, night cream that helps to smooth and improve the skin relief. Luxurious night cream with a high content of Vitamin E and supplemented by jojoba and wheat germ oil. Helps to promote cell renewal and to smooth and improve skin texture. After cleansing, use the product on your skin and apply to your fingertips until your skin has completely absorbed the cream. Also suitable for the care of neck and décolleté.